A Luxurious 2/3 hour leisurely sail around the 35' square miles which is the" North Sound Wind depending, we might cruise through the Mangrove Channel that separates Booby Quay from Our Central Wetlands or do a fly by of Kaibo" and the Little Sound enjoying the Cool Breezes and Beautiful Nature that Grand Cayman has to offer. Sipping on cocktails or your Favorite Beverage and snacking on an array of Appetizers, listen to our Eclectic selection of music or Play Your Own Sound Track via Bluetooth. Suggested Start times are 3.30 or 4.30pm depending on season. 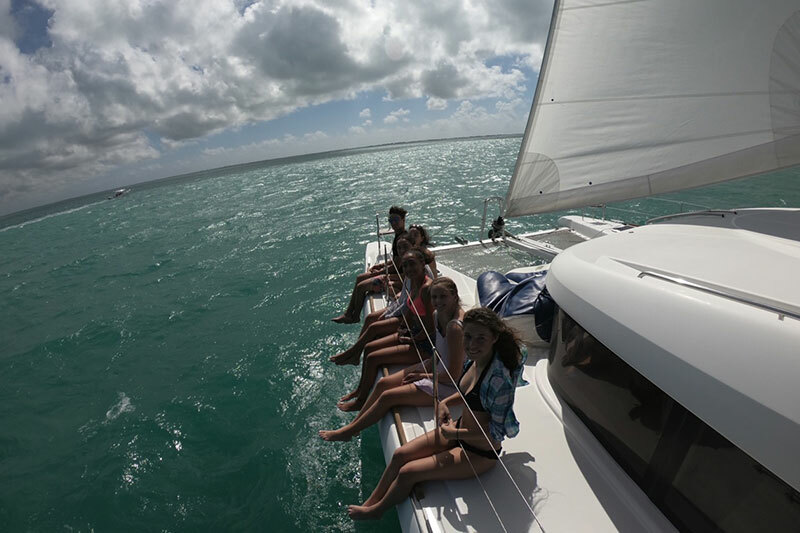 Reasonably priced at US$300 per hour, please see the Whats Included section on all Charters. Maximum 20 passengers for ultimate comfort we suggest up to 12 guests.